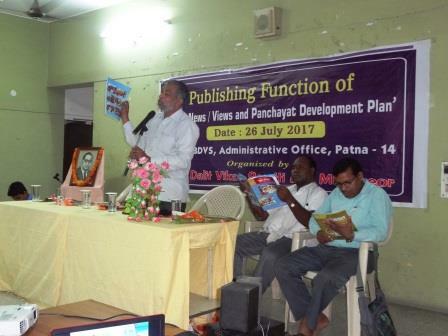 ‘Youth news and views’ and Panchayat development plan (voice of youth) magazines were successfully released by Mr. Alok Dhanwa and Dr. Fr. Anto Joseph SJ on 26th July 2017 at BDVS administrative office premises among 70 people. Maximum participants were the YRC leaders of 5 units. 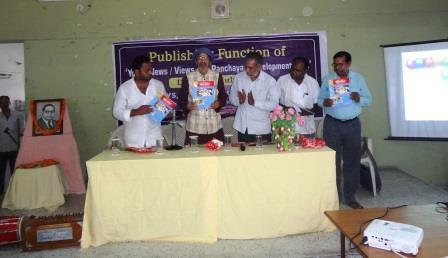 The whole program was led by YRC leaders. They had distributed the role and responsibilities among themselves. 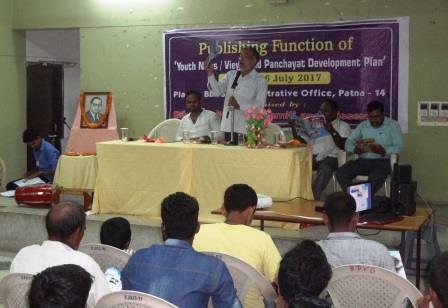 The first session was a presentation on YRC. MrSanny Kumar had taken initiative to facilitate the session. In this presentation he tried to bring an understanding on YRC. 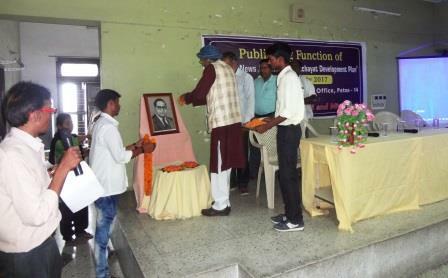 In this auspicious function Mr. AlokDhanwa encouraged the youths to look after rural communities and follow the ideology of justice and equality. Fr. Anto Joseph encouraged youths to take an extra mile for the betterment of the communities and he also gave a dream of being good writers and leaders. He told our did completes us and what we do are not separated from us rather they are inseparable elements of us. He focused on how youth should be and how it could be possible. The basic objective of these magazines was to encourage youths to write for the magazine and bring the ground realities of the communities to the public. 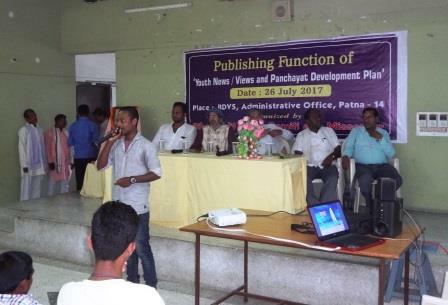 Youths must develop writing skill and their journalism skill can help communities in a better way to overcome the problems.